Hi there! Jessika from Hip and Simple again today. 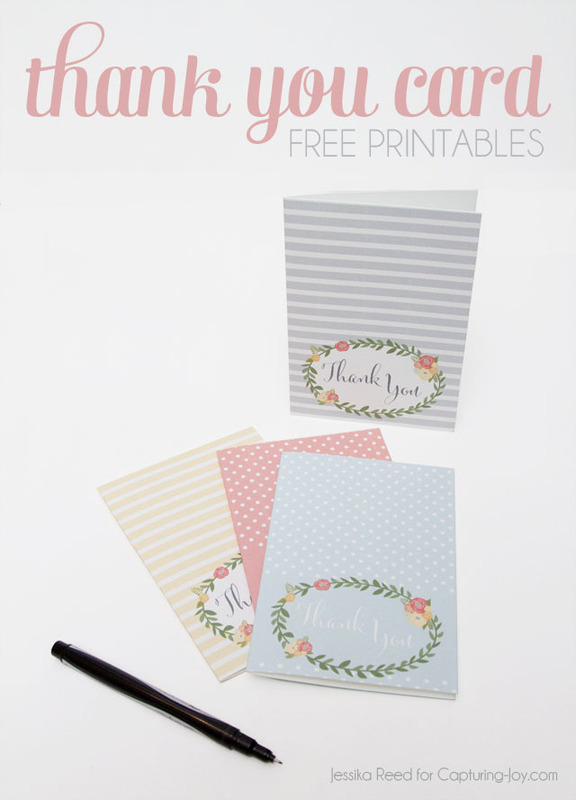 I am excited to share some Thank You Card Free Printables with all of you today. When I was younger, my stepmom really encouraged us kids to always send thank you cards. It was something I wasn’t always thrilled to do but, over the years, have really grown fond of. It’s such an easy and thoughtful thing to do after you have received a gift of any kind; material, time, kindness, thoughtfulness, wisdom, etc. 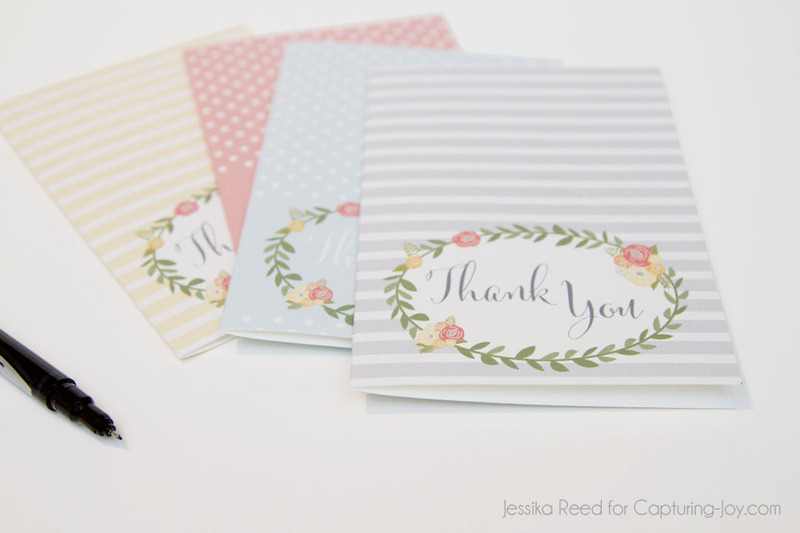 Have you ever been sad to receive a thank you card? I haven’t. My husband’s company has “thoughtful Thursday” built into their calendars where they allow their employees time each Thursday to retreat to their conference room and fill out thank you cards for vendors, clients, etc. It’s such a good business practice and also just a wonderful habit to keep in my opinion. I love keeping a plethora of various designs and prints on hand so when I have something to express thanks for, I have a choice of which style fits best. 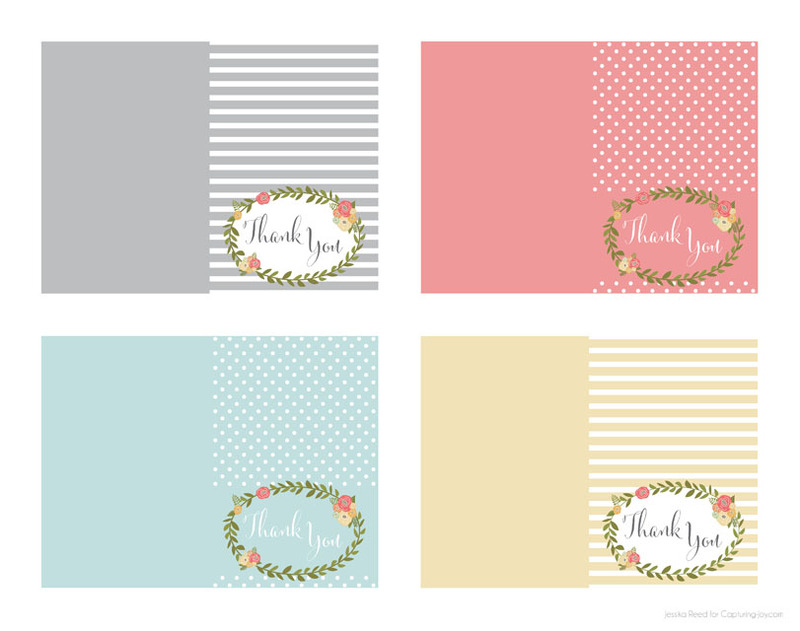 I’ve come up with some fun spring-y thank you card free printables that you can download and print. There are 4 styles, each sized as a 4×6 card when printed, cut and folded. I hope you enjoy adding these to your collection and maybe feel inspired to write out your gratitude for something you have received recently. Even if you haven’t sent one in a while, it’s always a good time to start! Want to see what else I’ve been up to? Follow me on Pinterest, Facebook, Instagram and you’ll see some projects like the ones I have below.